Badra oil field situated in the Wasit Province of eastern Iraq is estimated to hold reserves of about three billion barrels of crude oil. The Iraqi oil field stretches about 16km long and six kilometres wide. The field is operated by Gazprom Neft, which also owns 30% stake in the project in partnership with Korean Gas (KOGAS, 22.5%), Petronas (15% ), TPAO (7.5% ) and Iraqi Oil Exploration Company (OEC, 25%). First oil from the field was produced in December 2013 followed by first commercial production and oil delivery in September 2014. Badra contains light crude oil close to brent blend with an API gravity of 34° to 35° and a sulphur content of three to four percent. Two wells are in production and three more wells are being drilled at the field under a contract with the Chinese company ZPEC. The current production capacity of the field is 15,000 barrels per day (bpd) and the same is expected to continue until the end of 2014. The production capacity will be increased to 170,000 barrels of oil per day by 2017. The field life is expected to be 20 years with an option to extend by five additional years. The licence to develop the Badra oil field was granted in December 2009 and the contract to develop the field was awarded to the partners in January 2010. The front end engineering design (FEED) for the oil field was completed in June 2011. Drilling activities for the first appraisal well commenced in November 2011, for the second well in January 2012 and the third in March 2012. "Badra oil field is developed by Gazprom Neft, which has a 30% interest in the field." 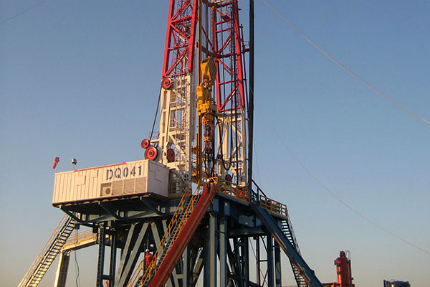 Testing activities for the fourth well, which has a depth of 4,850m, were completed in 2013. The field development involves up to 17 production wells, including five injection wells. The drilling works were carried out using three drilling rigs. The wells are fitted with equipment to enable production from two or more reservoirs simultaneously from each well. Construction of field infrastructure which also includes a central gathering facility with a capacity of 170,000 barrels per day was started in April 2013. A gas collection and processing facility with a capacity of about 1.5 billion cubic metres per year has also been constructed. 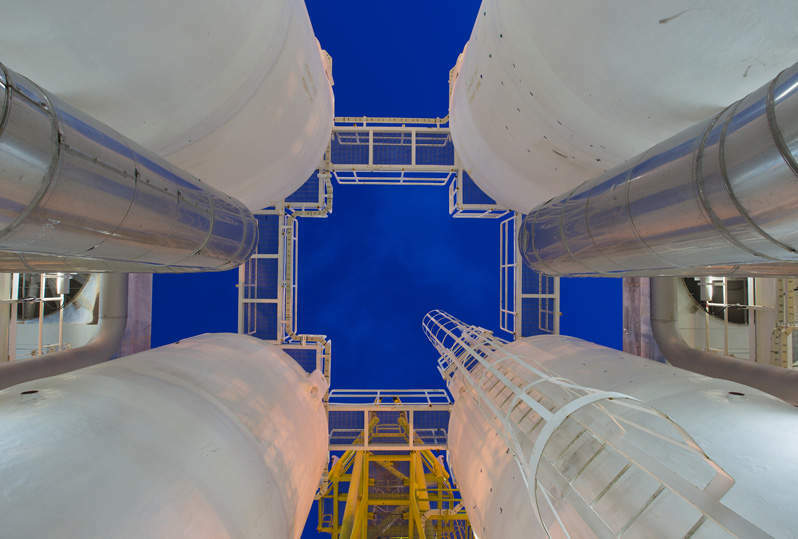 The facilities at the project site include comprise of a gas separation plant, a central processing facility, a central oil gathering and treatment station with a capacity of 1.5 billion cubic metres per year, including a utilities and offsites (U&O) facility. An oil pipeline measuring 165km long is laid from the oil field to the Garraf pipeline tie-in point as part of the project. The construction and testing of the pipeline was completed in March 2014. The central oil gathering and treatment station at the project site includes three oil treatment lines with a capacity of 60,000 barrels per day each. Other facilities at the field comprise of a pump station, oil storage facilities, oil metering station, a gas pipeline, infield pipelines and other ancillary equipment. The engineering, procurement and construction (EPC) contract for the gas separation plant (GSP) was awarded to Samsung Engineering. The lump sum turnkey contract is valued at $879m. The EPC activities for the central oil gathering and treatment station are being carried out by Petrofac under a contract worth $329m. "Badra contains light crude oil close to brent blend with an API gravity of 34° to 35° and a sulphur content of three to four percent." The contract to carry out the front end engineering design (FEED) for the Badra oil field was awarded to Technip. The independent auditor for the project was PricewaterhouseCoopers. ALMCO constructed the approach road, well pads and a permanent camp at the project site. Arabian Gulf Mine Action Company was involved in carrying out the mine clearance activities covering an area of about 12,000km² at the project site, while the Oil Exploration Company (OEC) completed 3D seismic surveys at the project site in May 2011 covering an area of about 165km². A contract worth $95m to drill a total of 11 production wells, including one exploratory and two appraisal wells, at the project site was awarded to Schlumberger in July 2011. Project management consultancy services are being provided by Mott MacDonald. The Rumaila oil field is one of the largest oil fields in the world. It is located near Basra and about 20 miles from the Kuwaiti border in southern Iraq.